Track Your Purchase Order Process with Sage 200. Let’s take a look at the 5 key steps to a successful purchase order and how to track Your Purchase Order Process with Sage 200. Many businesses don’t have time to make this a priority. Day-to-day work takes over their day and sadly one of the most critical tasks of a stock-driven business is sidelined! Decide how often you are going to review prices – Every order, every month, every six months, annually? It should be about more than the cost – Decide how you are going to rate your suppliers based on your USP as a business. Do they guarantee delivery for a particular date? – If your USP is next day delivery, this becomes vital. Do they deliver when they have the stock available rather than when you need it?… even though you don’t have space in the warehouse or the cash flow? How do their lead times compare to others? Will they deliver directly to your customers with your branding on the delivery notes? Do they have minimum order quantities? How long will they keep to quoted prices? All too often a supplier quotes low for first orders… then their prices just keep going up! Check quality together with price. If you’re shopping around for prices make sure you are shopping around for quality too. Compare apples with apples! All these questions are vital, and you can use them as bargaining chips when speaking to suppliers. Give them good hard facts and solid data so they have confidence in your ability to buy volumes. Slow purchase order authorisation encourages users to try to circumvent the system. Why? They are salespeople, they make assurances – promises even – do their job quickly, make that big order… then have to wait hours… maybe days… until somebody clicks a button. Paper-based purchase order entry systems are slow and vulnerable. Why? Admin human error means items can be captured incorrectly, lost or forgotten. The level of control is normally dependant on “the need for speed” weighed against the risk of cash flow issues and the trust in your suppliers. That is why it is so important to get the controls right and to automate wherever possible. Controls can be set in different ways, but the most common are authorisation by a senior member of staff or value-based authorisation. Where are you most vulnerable? How well have you negotiated prices? How careful are your staff when spending money? How long does it take for a purchase order to go through each step? All too often, once the purchase order is placed with the supplier it’s forgotten. This is a big mistake. Proactively managing your purchase orders is one way to reduce the time spent on the purchase order process. I know it seems counter-intuitive but a small amount of time spent ensuring the system is up to date and that items will be delivered on time can save a whole lot of chasing, paperwork, and annoyed staff, not to mention preventing production downtime and frustrated customers. It’s not enough to just set processes you assume everybody is following. It is critical to track both staff and suppliers alike so that everyone is doing what they should. Implementing good processes is not just about drawing pretty process maps and expecting people to follow them, you need to set systems in place which monitor and manage them. Maybe its time to look at some new reports and dashboards with Power BI? % order lines delivered on the agreed date by supplier – Allows you to see which supplier is delivering on time. % order lines delivered late by supplier – Any supplier consistently delivering late should be reviewed. % orders lines delivered early by supplier – Depending on your warehouse/cash flow availability this can also be an issue. Standard price variance per supplier per product – Are you spending too much on particular items because you aren’t ordering in time? Average time to approve orders by person – Monitor the processes themselves. % orders with supplier order number – Ensure data entry is consistent. 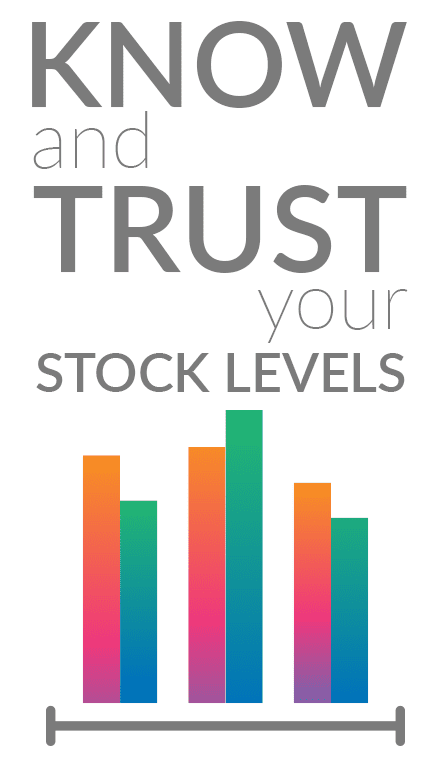 Active stock items above maximum levels – Ensure you are not ordering too much. This may sound like a lot of time spent monitoring people and chasing paper but the key is in realistic systems and using your resources correctly. Know your software! Know what it can do for you, and how to utilise it to its full potential! Keep a lookout for the next blog on automating purchase order processing, coming soon.